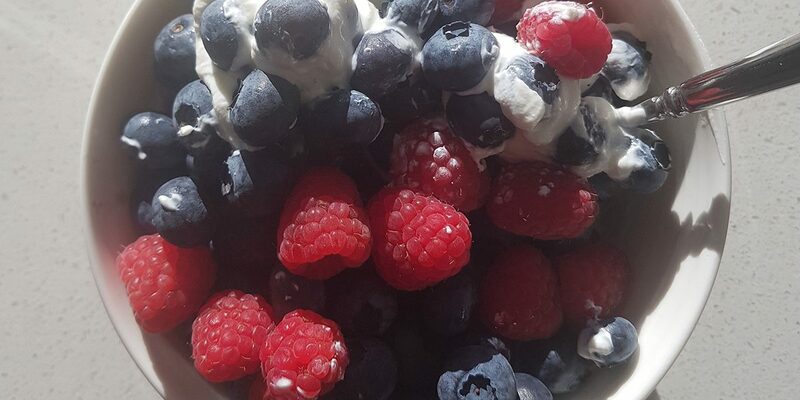 I love starting my day with full fat plain greek yoghurt and delicious berries. and full of fibre .They aren’t going to mess with your blood sugar levels. The full fat creamy greek yoghurt has more protein in it than low fat yoghurts , less carbs and will help you fill full for longer.